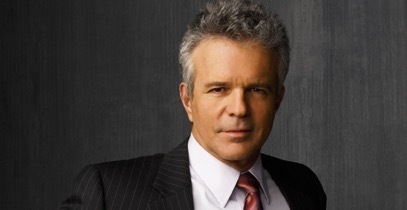 Award winning actor TONY DENISON joined the cast of The Closer starring Kyra Sedgwick, as Det. Andy Flynn in 2005, which quickly became TNT’s # 1 Drama. The spinoff series, Major Crimes is now airing its 3rd season and breaking rating records. His starring role as a San Francisco Chef, in the indie-hit film Trattoria, co-stars Gossip Girl’s John Amedori and also features celebrity chefs Elizabeth Falkner (The Next Iron Chef) and Traci Des Jardins (Top Chef Masters). He is a culinary aficionado that makes a delicious French Toast Italia Style with Ricotta Cheese and his Sun-Dried Eggplant Parmesan. In demand and busy during his off-season hiatus starring alongside Charlie Hunnam on an episode of Sons of Anarchy as well as appearing on Hell’s Kitchen’s Italian Night. With three upcoming films: Ayn Rand’s popular series, Atlas Shrugged: Who is John Galt?, the modern-day thriller, Dirty, alongside Chaz Bono and Alexandra Paul and Clarity with his Major Crimes co-star Nadine Velazquez and the new movie, Dementia. Denison’s personal mission is to maintain his blue-collar values in a gold collar profession. He is dedicated to helping others whenever possible and donates his spare time to The Sunshine Kids Foundation, which is headed up by his co-star, GW Bailey.